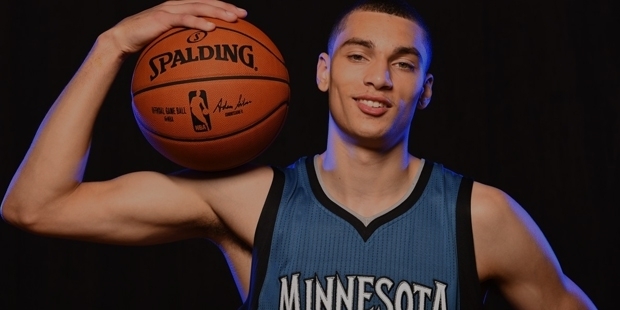 The latest sensation in the Slam Dunk Contest and the youngest champion of the same, Zach LaVine is a professional basketball player from America. Achieving such a prominent accomplishment is not an easy nut to crack and the same holds true for Zach as well. Born in Renton, Washington, he plays as a professional player for the NBA’s Minnesota Timberwolves, which selected him on the 13th pick in 2104 NBA Draft’s first round. He travelled a long journey through hard work and passion for the game from an early age and has achieved a great honor for his play since his high school days. 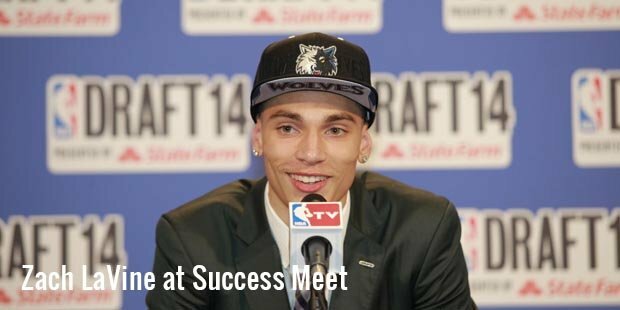 LaVine’s mother was a player of softball, while his father had played football as a professional for NFL (National Football League) and USFL (United States Football League). Due to this background, Zach has been good at athletics from the beginning, but that was not enough to become a professional football player. Initially, he was focused towards his athletic skills and wanted to be a baseball player, for which, he tried to practice swings and other moves to master on-field performance. His choice for the sport changed after watching Michael Jordan play basketball moves in the movie ‘Space Jam’. He became so obsessed with the dream of becoming a basketball player that he started watching all his video tapes. He tried to emulate all the dunks that he watched on the videos, but the lack of a professional guidance was restricting him to achieve perfection. At this moment, his father served as his coach & trainer, guiding him to deal with all the situations of the game. 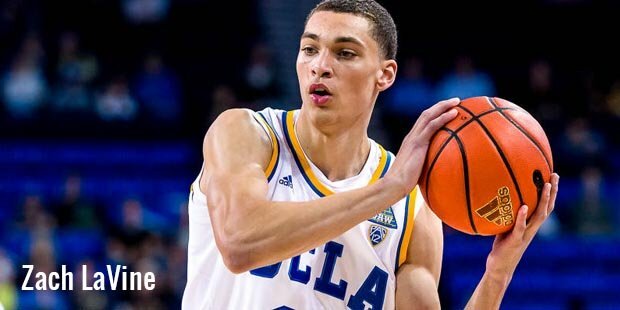 LaVine started practicing in the backyard with his father, who made him work hard on the skills needed for the game, like ball handling, strength training, deep threes, touch shots and NBA’s 3-point shootout along with agility and quickness training. Zach studied at Bothell High School, Washington, where he played as a point guard and attained a height of 6 ft 3 in by his junior year. He invested several hours of his day, practicing dunking in his backyard, after the end of the daily shooting routine. Till the end of his senior year, he earned the honors of ‘Washington Mr. Basketball’ and ‘Associated Press, Washington State Player’ in 2013 for his brilliant gameplay. He pursued by picking up 7 offers from, among the ones available from colleges of NCAA Division I. However, a misfortune of hip injury sidelined him for most of his junior AAU season. He recovered and returned to the game with improvements, which gained implausible opportunities to join the country’s top players. Then he joined UCLA and moved to the NBA after a year to kick start an excellent career as a professional.